IT WAS almost by accident in 2003 that David Evers fully grasped how mercury permeates and pummels the bird world. He and colleagues from the Biodiversity Research Institute were researching the Nyanza Superfund site — once home to textile dye operations — on the Sudbury River in Ashland. Evers, the executive director of the Maine-based institute, was trying to net belted kingfishers to see how much mercury was absorbed in their blood by eating fish. During the netting, two red-winged blackbirds, which eat seeds and insects, were trapped. Evers isn’t scratching his head anymore. A decade later, in the most sweeping analysis to date, a newly released report by the Biodiversity Research Institute and the Nature Conservancy found that a wide range of insect-eating songbirds, as well as little brown bats, can concentrate mercury in their blood at rates that can stunt reproduction. More stunning was the habitat range of mercury exposure spread all the way from coastal estuaries to mountaintops. 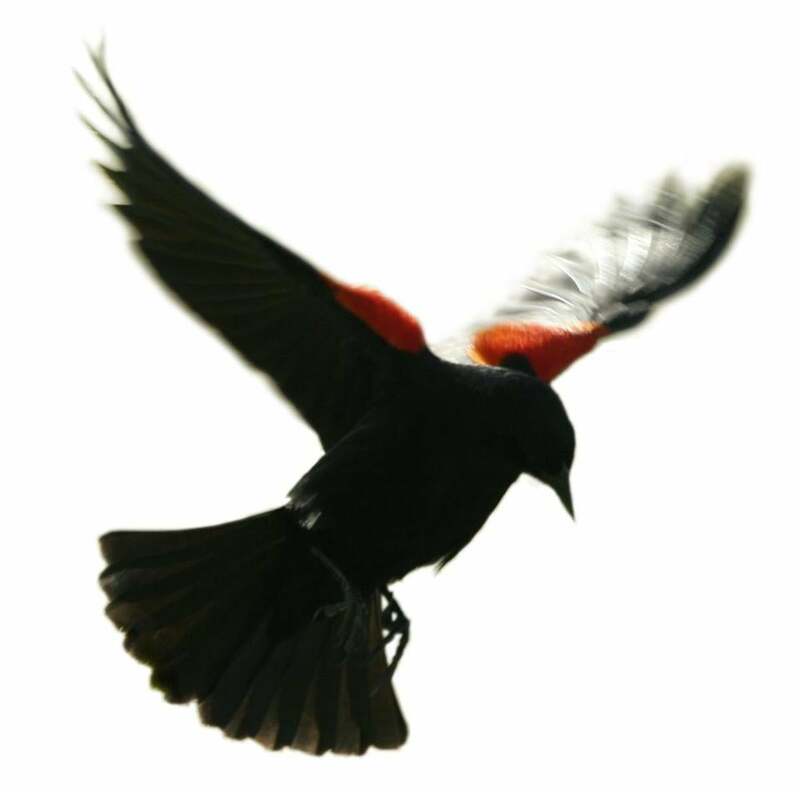 Researchers were particularly alarmed about birds such as the rusty blackbird. It has already declined 90 percent in its boreal habitats since the 1960s and breeding pairs in the northeastern United States have particularly high levels of mercury. Mercury most notoriously is emitted into the atmosphere by coal-burning power plants, with the capability of traveling hundreds, even thousands of miles before falling to earth, often in some form of precipitation. The mercury that wafts down into forests can be absorbed by leaves. When the leaves fall to earth, bacteria transforms mercury into the organic toxin methyl mercury, which magnifies in impact as it moves up the food chain. Wood thrushes, blackbirds, and sparrows consume mercury by eating critters on the ground. Warblers and vireos get mercury in the treetops by eating the spiders and insects that had consumed critters on the ground. Bats get mercury by snaring spiders and flying insects. Mercury can make adults too lethargic to raise their young. This makes it all the more important that the Obama administration and the EPA ended two decades of political and industrial stonewalling by saying in December that power plants must slash mercury emissions by 90 percent. The primary focus of the rules was, of course, human health, but on its website, the EPA also noted how songbirds can be exposed to mercury through eating insects. For Evers, this acknowledgment could not have come at a more important time, because his institute’s report also contained the stunning indication that mercury may be getting into the birds in a global chain of pollution from coal burning, incinerators, and mineral mining smelters in developing countries. The researchers found evidence that the mercury load of the northern water thrush was elevated year-round, whether in its Canadian and northern United States breeding grounds, during migration, or in its wintering grounds in the Caribbean and Central and South America. The magnitude of mercury assures that we cannot be done with it.